It is non steroidal anti inflammatory, analgesic and antipyretic, drug. 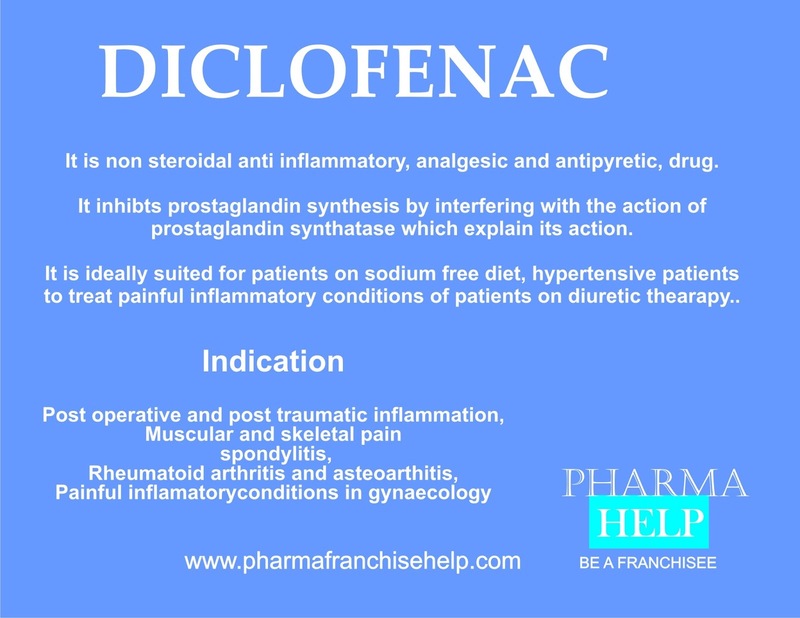 Diclofenac ihibts prostaglandin synthesis by interfering with the action of prostaglandin synthatase which explain its action. It is ideally suited for patients on sodium free diet, hypertensive patients to treat painful inflammatory conditions of patients on diuretic thearapy. Painful inflamatory conditions in gynaecology.